It was very cozy and clean, with lots of thought put into providing comfort. Even included clean slippers! Very nice apartment at excellent location. Very clean and neat, which gave us a wonderful stay. Location, price. Night time lighted walkway. Easy parking. Clean and spacious apartment. We stayed only over the night but there is everything you need for a longer stay. Lake is a few minutes away by car or 15 minutes walking. Barbara is a very pleasent host. Stylish, spacious and comfortable room. The environment is quiet but close to downtown. The host is friendly and have well communication what made check in easily. I stayed in the flat for 2 people in the same property for 3 nights (where we had a great experience), before moving to the apartment for 3 people. This apartment was even better - more spacious and comfortable. Our apartment for two had a decent sized bedroom, bathroom, WC. And a tiny kitchen, which had all the appliances we needed. The apartment was impeccably clean, and very comfortable. We reached Gmunden by train, after dark, on a cold December night. It took us about 30 minutes by foot to locate the apartment. Our hostess was awaiting us, with the keys. She was warm, welcoming, and easy to communicate with. Though the apartment does not have washing machine facility, Barbara kindly allowed us access to her washing machine, at a price. Supermarkets are available within 15 minutes walk of the apartment. The lake and old town can also be reached within half an hour by foot. We were delighted to find an alternate route by the river, starting right next to the apartment, which was very scenic, and a little shorter. 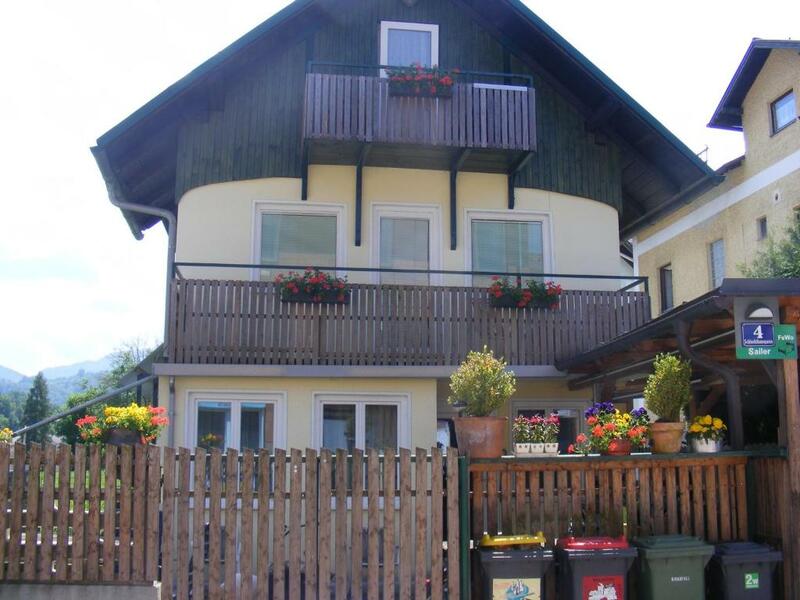 Would love to return to Gmunden, and stay in this apartment again. - Both apartments we've booked were clean and well equiped. - Helpfull information about parking and finding the keys (with sticky notes with our names) - Parking was free and places were available - The lake is a few minutes away by car or 15-20 minutes walking. - The ap. that is on the first floor has a nice balcony. Very helpfull Information about parking and collecting the key and the tips for trip the next day. The price is great in this location. 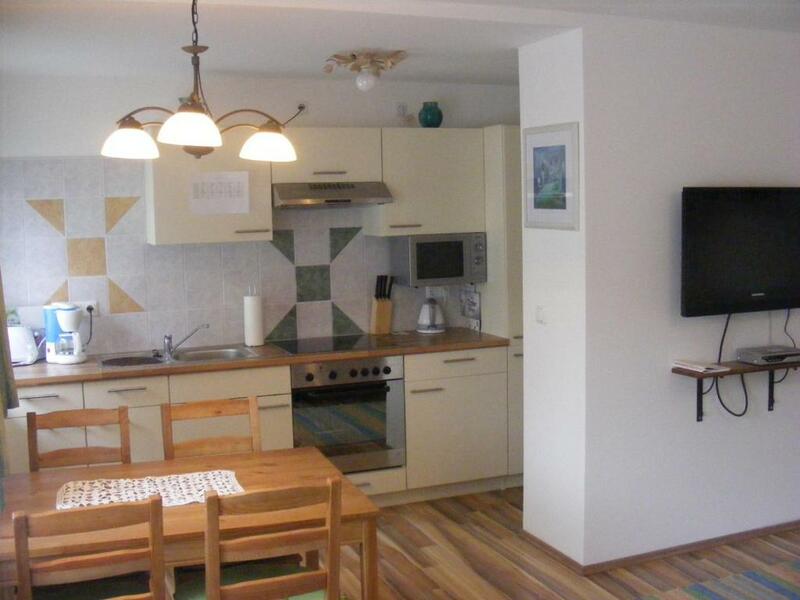 Lock in a great price for Ferienwohnung Sailer – rated 9 by recent guests! One of our best sellers in Gmunden! Ferienwohnung Sailer is set 0.6 mi from the center of Gmunden and offers accommodations units with a balcony or terrace and free WiFi access. The apartments also come with kitchen facilities, a flat-screen satellite TV and a bathroom with shower. A restaurant can be found 0.6 mi away, a supermarket is 1.2 mi from Ferienwohnung Sailer and a public outdoor pool is 1.9 mi away. Free parking is possible at the street right in front of the property. When would you like to stay at Ferienwohnung Sailer? Studio with a kitchenette, a dining table, a balcony and a flat-screen satellite TV. Apartment with a kitchenette, a dining table, a terrace and a flat-screen satellite TV. Apartment with a kitchen, a dining table, a balcony and a flat-screen satellite TV. House Rules Ferienwohnung Sailer takes special requests – add in the next step! Please note that there is no reception at the property. A check-in via key box can be arranged. Please inform Ferienwohnung Sailer of your expected arrival time in advance. You can use the Special Requests box when booking, or contact the property directly using the contact details in your confirmation. It is about a 15 minute walk to the center, not a problem, unless it is pouring rain. A bit far from the railway station with very infrequent bus service but you can walk in 20 minutes (if you are a slow walker, easy manage in 25 min). The kitchen is small but has everything in need and there are many useful electrical appliances. Toilet and bathroom are separate and it's good for more than one guest. The room itself is comfortable and clean. Lots of sockets. In less than 10 minutes you walk to the lake. The host was friendly and easy to communicate. Husband felt a little cramped with dormer ceiling. One of the appartments was at the ground level and was a little bit gloomy. We have to do the dish cleaning since there is no dishwasher even we pay more than $28 euro for cleaning fee. The owner expect us to clean them to be spotless and called agency to complain. We were wondering why we pay the cleaning fee. Difficult to meet the expectation when you have tight schedule to leave. The instructions how to enter and find the keys were not clear. The late arrival was not a problem. Everithing was perfect, just the beds need a new matrass.